more frequent flyer points in New Zealand. 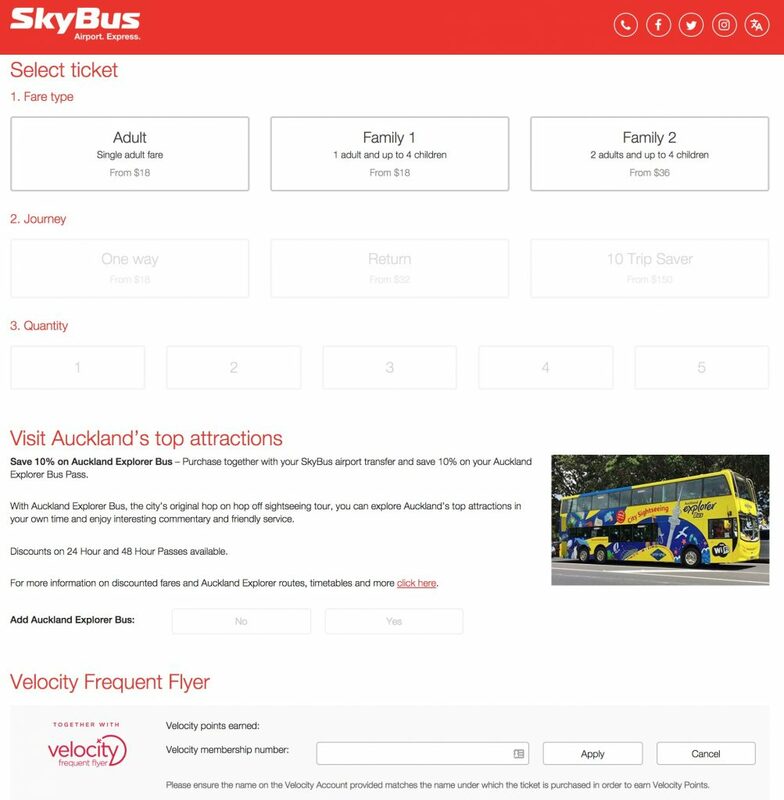 The SkyBus-Velocity Frequent Flyer partnership allows you to earn Velocity Points on about half of SkyBus services, including those in Auckland. You must register for this offer here before you purchase your ticket. Below is the table showing how many Velocity Points you’ll earn. You’ll only earn Velocity Points on trips between the airport and Auckland City, not on the North Harbour Express route. Basically, you’ll earn 100 Velocity Points for each ride on an Adult fare, except you’ll earn an extra 50 points if you book a roundtrip instead of two one-way tickets (250 points for roundtrip versus 100 for two one-ways). If you are travelling with up to four children aged between 4 and 16 years old (they don’t mention anything about infants on their website), they ride for free. If you’re the only adult, you’ll travel on the Family 1 fare and get the same earn rate as a single Adult (100 points one-way and 250 roundtrip). However, if you are two adults travelling with up to four children one-way, then you are better off buying the Family 2 ticket (for the same price as two one-way Adult fares) because you’ll get 250 points instead of 200 points in total if buying two separate tickets. For a roundtrip as a two-adult family, booking the adult tickets separately or together doesn’t make a difference in terms of points earn. Buy online: enter your Velocity membership number on the booking page. Make sure the name on your booking matches exactly the name on your Velocity Frequent Flyer account. Points are not available when booking at an e-kiosk. 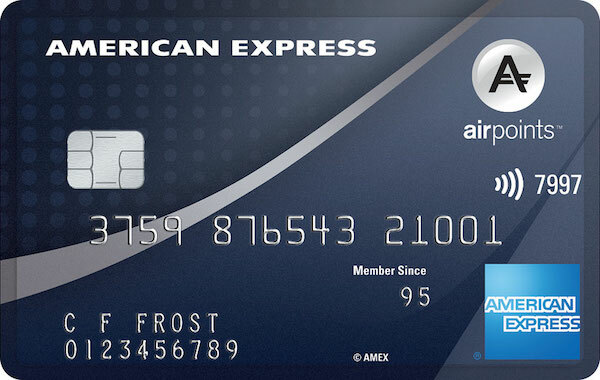 This is a great way to earn Velocity Points on a service you may use already – though it’s an interesting choice of partner for New Zealand, as opposed to Airpoints. I presume this is because they already have a pre-existing arrangement for their services in Melbourne. Remember, if travelling solo, a roundtrip will earn you more points than two one-ways; and if you are two adults travelling with a family, make sure to buy a Family 2 ticket instead of two separate one-way Adult tickets. 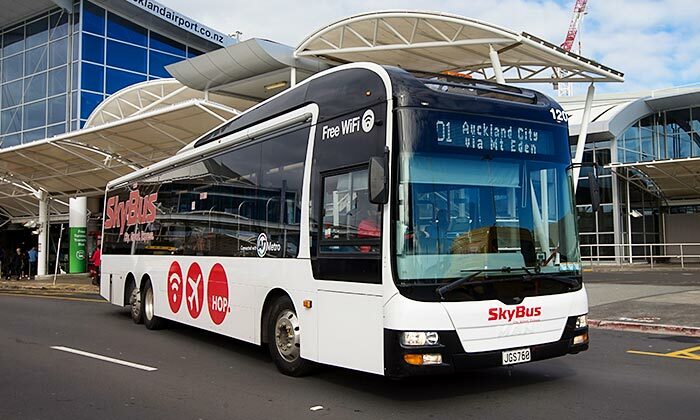 All images courtesy of SkyBus. Daniel is the Managing Editor of Point Hacks New Zealand.Originally from Adelaide, he decided he hated the heat and would move to (actual) greener pastures. He is now based in Auckland, New Zealand, where he spends his time working as an urban planner, and the rest of the time travelling and searching the internet for great travel deals. Don't subscribeAllReplies to my comments Notify me of follow-up comments via email. You can also subscribe without commenting. This is one of the few resort style properties in New Zealand within the Hilton portfolio, and is a good option for a visit to the Waikato region.